A modern family drama unfolds in alternating points of view of authentic voices between a 10 year old named Zac who likes to collect facts and cook, his single mother, Juliet, and her father, Mick. Juliet and Zac live on Harlequin Estate in Grimsby, a seaside town in England which was a major fishing port. Zac’s father, Liam, left under mysterious circumstances after the tragic death of Juliet’s brother, Jamie, ten years ago. Only Mick, a recovering alcoholic and retired fisherman, knows the truth, but he hides behind grief, guilt, and his opinionated wife. Juliet drowns her sorrow with alcohol and food, and she and Zac have become overweight, causing Zac to be bullied. When the bullying at school escalates, Juliet is determined to get Zac healthy and happy. Convinced it will please his mom, Zac’s mission, a secret with best friend Teagan, is to find Liam. Soon, finding Liam becomes Zac’s top priority, but when the truth is revealed, there’s no going back, no matter the pain it brings. VERDICT: Fans of Jane Green and Susan Wiggs will enjoy Regan’s debut novel with strong family bond that explores the age-old question of what if and the aftermath of one poor decision. Originally published in School Library Journal, May 2017. Grade 9 & up: Van, 17, was forced to grow up quickly in the slipstream of her mentally ill, brilliant mother. Her father died of a drug overdose when she was an infant. Van, her mother Sophie, and Ida, a surrogate grandmother, have lived as vagrants, following Sophie’s work. Leaving their home in Uzbekistan, the women land in Vegas, the city that never sleeps, for Sophie’s job at the Silver Saddle Casino. Van is tutored and left to spend her free time inside the lavish place with, Alex, a handsome college student, as her guide. Alex becomes her first true friend and love interest. Playing the guitar has always been Van’s true joy and form of escape, and she is now given the opportunity to join a band. Then, tragedy strikes and her family unit is falling apart before her very eyes. With Ida ill and Sophie caught in a scam, taken to the Sedona desert for “healing” by a cult, Van follows, determined to save her mother. The pacing is quick, parallel to the constant movement of Van and her mother Sophie. Van has an out of body experience and ends up fighting to survive in the desert. The end is filled with heavy-hearted goodbyes, but also hope and promise for Van’s future. It’s more of a beginning as Van makes a tough decision to set out on her own. The mood throughout is laced with worry and uncertainty, and readers will empathize with Van. Burian’s debut realistic fiction novel is based upon real-life events she witnessed. VERDICT: Recommended for general purchase, teen readers will enjoy the story line and well developed characters, while rooting for the strong female lead to survive what life has dealt her. It’s not the things we remember, it’s the things we keep. 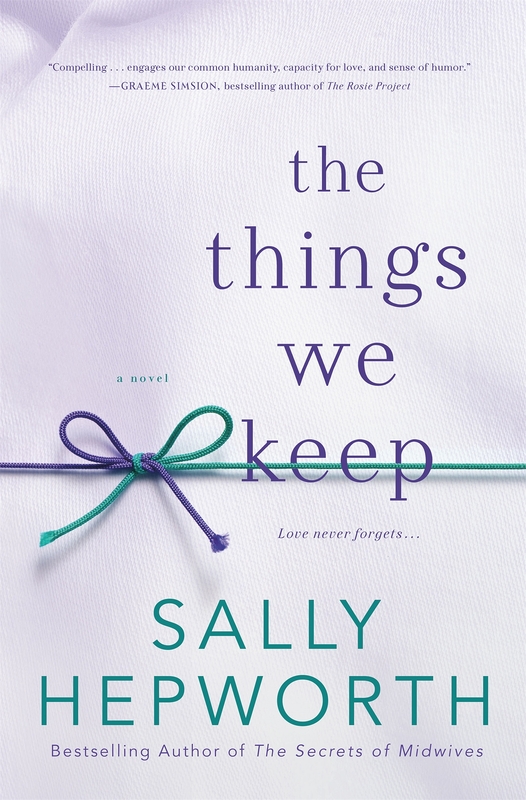 The Things We Keep will be published on January 19, 2016. If I were you, I would make a New Year’s resolution now to read it in 2016. This is such a beautiful, heart-wrenching story of family, friendship, and love, despite the odds stacked against the characters. There are two story lines to start, but they intersect once the characters meet and end up in the same place. First, we meet Anna Forster, a 38 year old woman suffering from Alzheimer’s disease, but in the early stages. Anna’s mother also suffered from Alzheimer’s. After Anna has endangered both herself and others she loves, she has decided to live at Rosalind House, a prestigious, family-like assisted living facility in New Jersey. She knows most of the residents are elderly, but she also knows there is young resident named Luke, her age, and also with Alzheimer’s disease. As she and Luke get to know each other, sometimes starting over with introductions every few days and then every day, near the end, their love grows, despite the research that those without memory and speech (in Luke’s case), suffering from such an awful disease are not capable of falling in love. In comes Eve Bennett, a young, talented chef with a 7 year old daughter named Clementine, who is quite the spunky little charmer, despite losing her father and then her home a few months prior. The Bennett girls’ energy is a welcome change to the quiet environment at Rosalind House. Eve is the widow of Richard Bennett, the leader of a ponzi scheme which caused thousands of people to lose their money and would have landed him in prison, had he not taken his own life first. Now a single mother and with no income, Eve must find a way to support herself, which brings her to Rosalind house in the role of cook. As Eve crosses paths and gets to know the residents, especially Anna and Luke, she makes some decisions that will forever change all of their lives. There, she also meets Angus, the skilled gardener who is also easy on the eyes. I love Eve and Clementine’s interactions with the residents of Rosalind House. The author does a wonderful job of describing them so that the reader feels they know them as well. Much of the scenes are written from Anna’s perspective, and in light of her failing memory. Though humorous at times as she tries to come up with a word or does silly things, it is also deeply tragic and sad that she is withering away at such a young age. This story, and it’s characters will be in my thoughts for a long time, as the story really reminded me to hold on to what we have, because we ultimately do not know when our last moment with a loved one will be. It is truly a lovely story, and I would highly recommend that you read it.